Coverage Territory - What is It? Many insurance policies limit coverage to events that occur in a certain geographic area. The area in which coverage applies is often called the coverage territory. This term has somewhat different meanings under general liability, commercial auto, commercial property, and workers compensation policies. The standard ISO commercial general liability form (CGL) provides three coverages, Coverage A (Bodily Injury and Property Damage Liability), Coverage B (Personal and Advertising Injury Liability), and Coverage C (Medical Payments). Each makes reference to the coverage territory. Coverage A pays damages for bodily injury or property damage if the injury or damage is caused by an occurrence that takes place in the coverage territory. Coverage B pays damages for personal and advertising injury if the injury was caused by an offense committed in the coverage territory. Coverage C pays medical expenses for bodily injury caused by an accident provided the accident takes place in the coverage territory. No coverage is provided for claims that result from an occurrence, offense or accident that occurs outside the coverage territory. Such claims can be insured under a foreign liability policy. a. The United States of America (including its territories and possessions), Puerto Rico and Canada. The CGL is intended to cover claims stemming from occurrences that take place in the United States or Canada. With a few exceptions outlined in parts b and c, it doesn't cover claims arising from accidents that occur in foreign countries. b. International waters or airspace if the injury or damage occurs while a person or property is traveling between the U.S.A. (including its territories and possessions), Puerto Rico and Canada. The coverage territory includes international travel between covered places. For example, an employee of yours is on a business trip. He is traveling by plane from New York to Guam when he accidentally spills a large cup of coffee on another passenger's laptop. The laptop is destroyed. If the laptop owner sues the employee or your firm for property damage, the claim should be covered by your liability policy. A product you made or sold in the USA (including its territories and possessions), Puerto Rico or Canada. For example, your company manufactures small kitchen appliances in Puerto Rico and exports them to Europe. A customer in Germany buys a mini food processor and then files a product liability lawsuit against your firm. She claims that the chopping blade broke and injured her hand. A short-term business trip made by an insured if he or she resides in the USA (including its territories and possessions), Puerto Rico or Canada. For example, your employee (Jill) is on a week-long business trip to France. She is visiting a client in his Paris office when she accidentally breaks a valuable statue. The client sues your firm for property damage. A personal and advertising injury offense that is committed via the Internet or other means of electronic communication. For example, you post an ad for your product on your company's website. A competitor in Spain sues you for defamation. The claimant alleges that your ad slandered his company, and he seeks $50,000 in damages. For a suit to be covered under the CGL, it must be brought in the U.S.A. (including its territories or possessions), Puerto Rico or Canada. This is true whether the injury or damage that triggered the suit occurred in the U.S., in international waters or airspace, or someplace else. Suits brought in foreign countries (other than Canada) aren't covered. 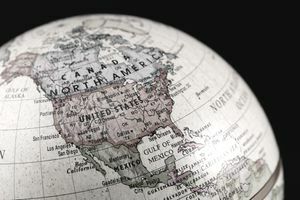 To be covered, any claim or suit must be brought in the U.S.A., its territories or possessions, Puerto Rico or Canada. The auto policy also covers physical damage to or an accident involving a covered auto that's being transported between places in the U.S.A, its territories or possession, Puerto Rico or Canada. Under the standard ISO commercial property policy, loss or damage is covered only if it occurs in the coverage territory. This term is defined as the United States of America (including its territories and possessions), Puerto Rico and Canada. The standard NCCI workers compensation policy does not use the term coverage territory. Part One of the policy (Workers Compensation) incorporates the laws of the states in which covered workplaces are located. These laws determine where coverage applies. Workers compensation insurance is designed to cover injuries that occur in the states where workers are employed. Nevertheless, many states provide some coverage for workers injured while outside their home state or while on short-term foreign travel. Part Two of the policy, Employers Liability Insurance, excludes bodily injury that occurs outside the United States of America, its territories or possessions, and Canada. This exclusion does not apply to a citizen or resident who is temporarily outside these countries, say, on a short-term business trip. To be covered under Part Two, suits must be brought in the USA, its territories or possessions, or Canada. Some policies are silent as to where coverage applies. The absence of a defined coverage territory is common in commercial umbrellas. A policy that does not specify a coverage territory is generally assumed to apply worldwide. What Is an Insurance Exclusion? When Does an Agreement Become a Legal Contract?